Unlike some of the other SCP servers we talked about Dropbear is Dropbear is particularly useful for “embedded”-type Linux (or other Unix) systems, such as wireless routers. It is a small SSH server and client that can run on a variety of POSIX- based platforms. 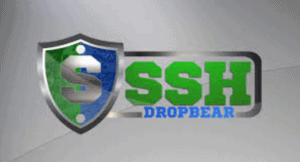 Using Dropbear SSH is best suited in the hands of an experienced system administrator, familiar with makefiles and recompiling the executable as needed. AIX 4.3.3 (with gcc and Linux Affinity Toolkit), AIX 5.2 (with /dev/urandom).